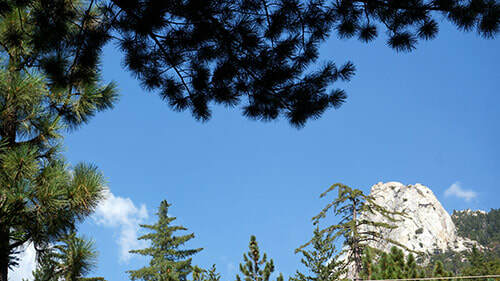 Cougar's Peak results will display first in list - if available. 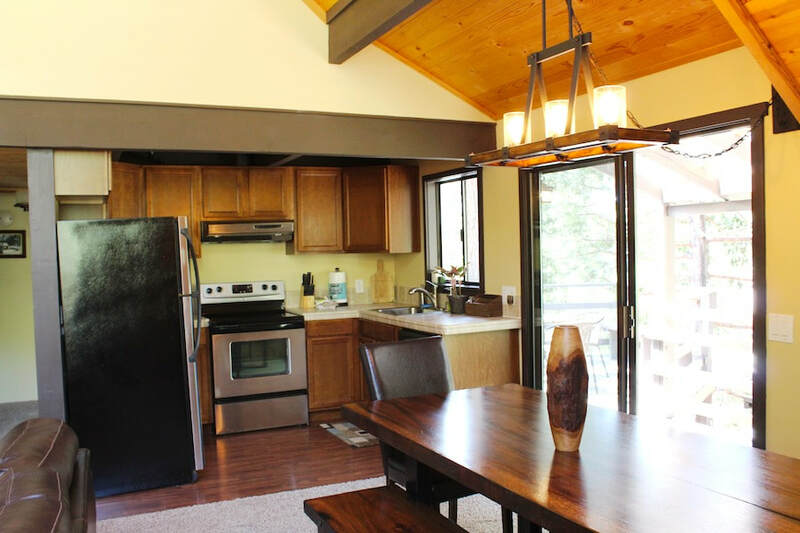 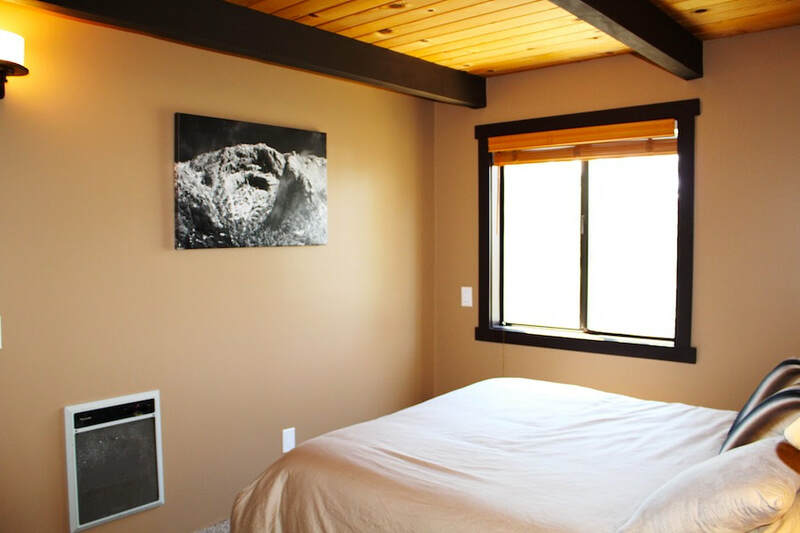 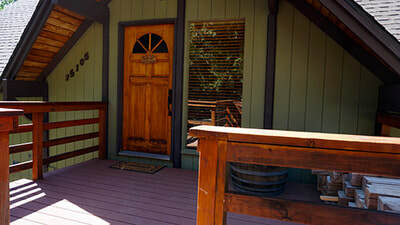 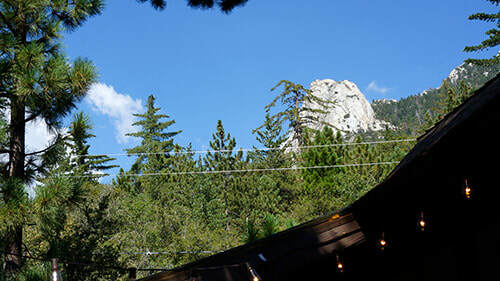 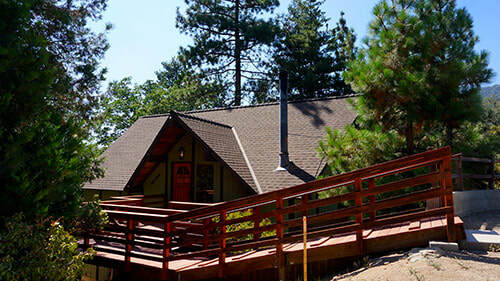 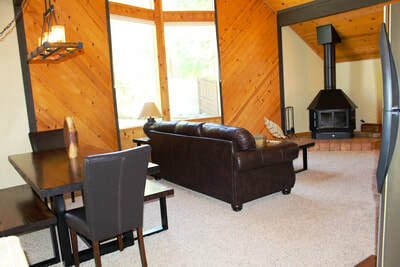 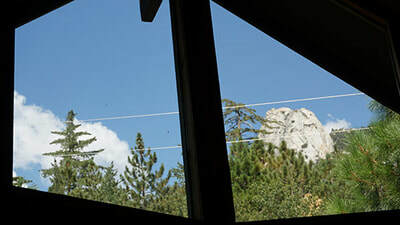 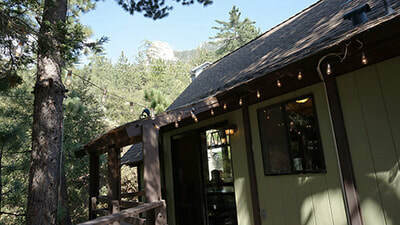 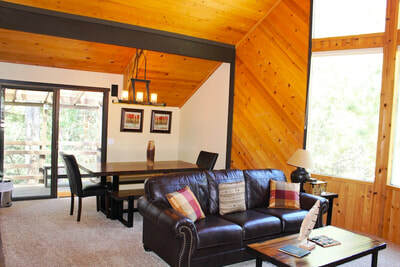 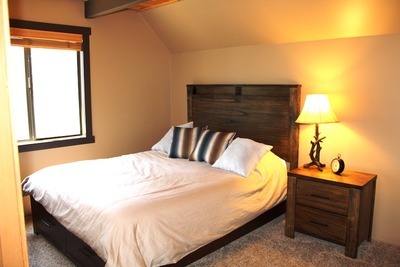 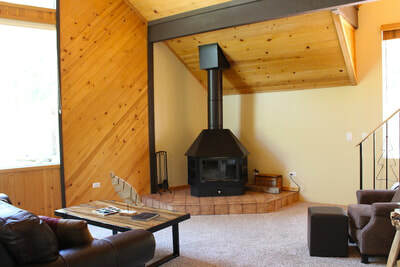 Cougar's Peak Lodge is a modern two bedroom cabin with two bathrooms and a large loft bedroom. This fairy-tale like setting has modern decor featuring style and comfort everywhere. 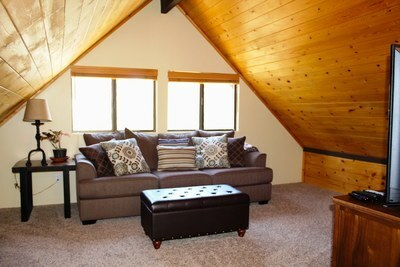 The interior of the cabin has been completely redone with new carpet and paint, beds and furnishings. 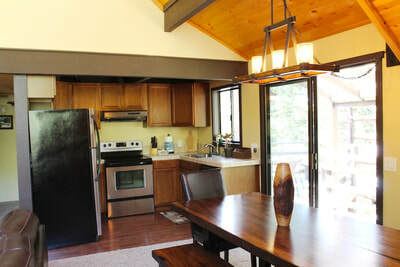 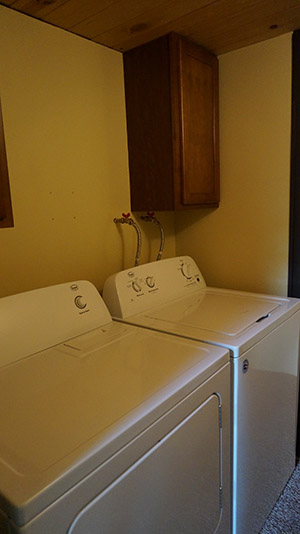 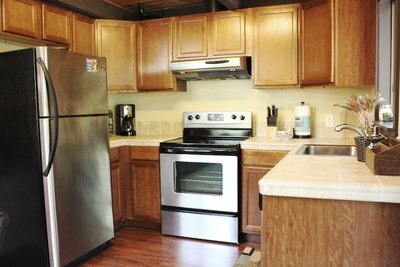 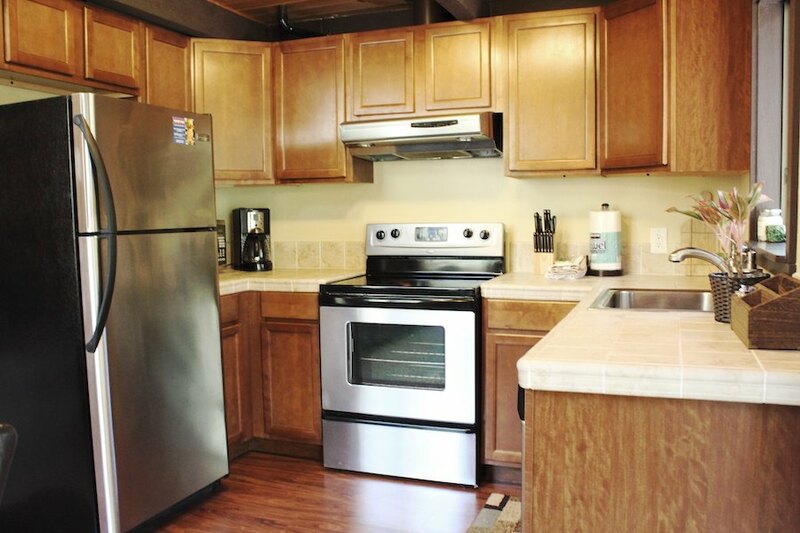 The cabin features a well equipped kitchen and outdoor deck with BBQ. You can relax and unwind in the interior great room with beautiful views of Lilly Rock and a wood burning stove. 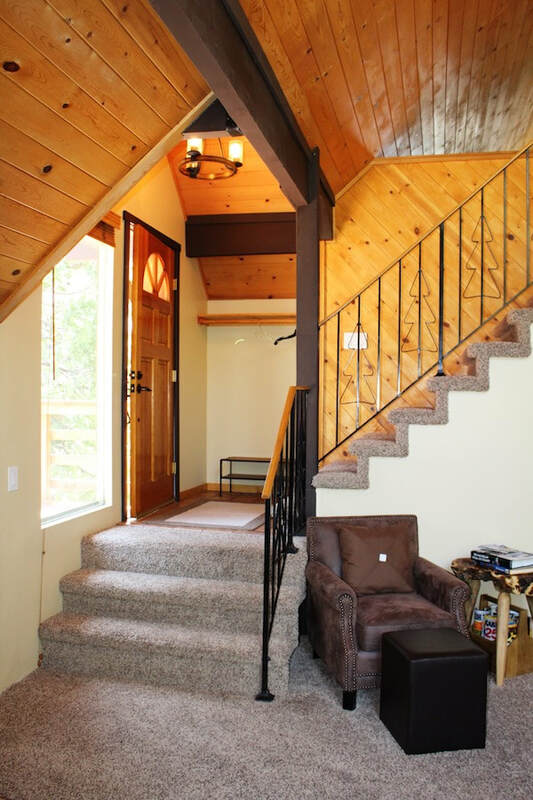 Easy access in times of snow. 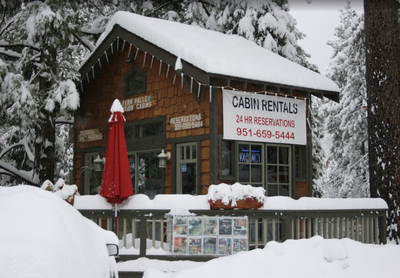 The close proximity to Humber park means the snow can get deep so come prepared with chains. 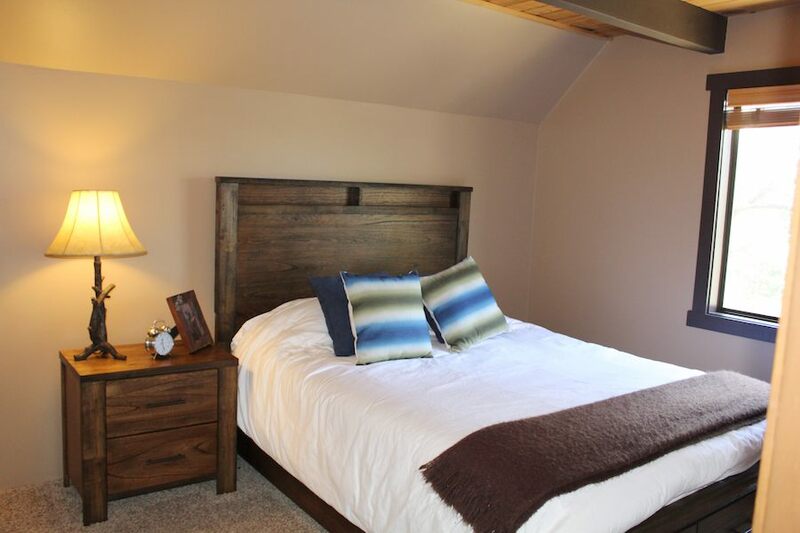 Bedrooms are classy and uncluttered with new beds and each bedroom has its own bathroom. 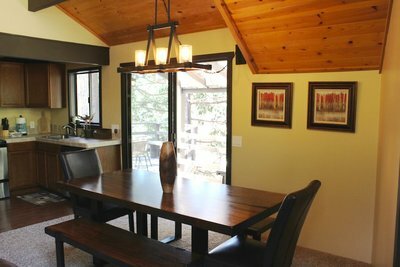 This multilevel lodge competes with the natural beauty outside visible through large picture windows. 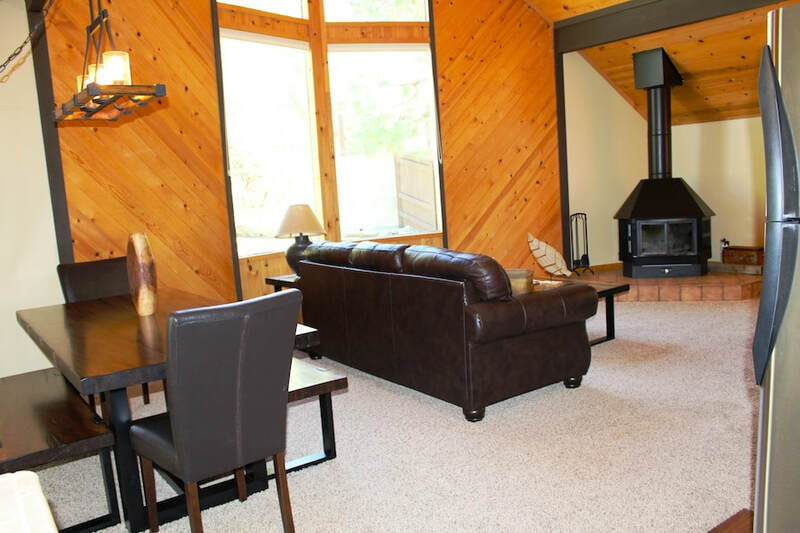 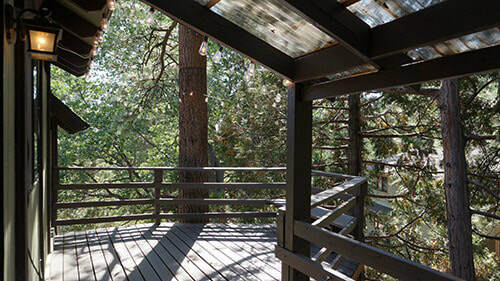 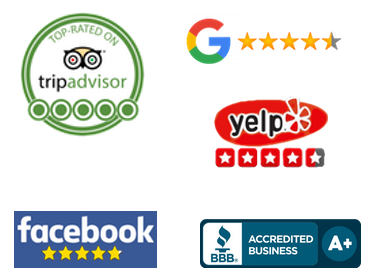 Whether you're a small family looking for the best vacation spot, or two couples looking to enjoy nature and a nice glass of wine while star gazing on the deck, Cougar's Peak Lodge is a fabulous choice.